Lights? Check, baubles? Check, tree?… If you are on the lookout for a new, luxury tree for your living room, this is the place to find it. On the following page you will discover a wide selection of truly epic and exciting trees that will make your home look like a winter wonderland this Christmas. Are you looking to make a statement with your Christmas tree this year? If you prefer the world of artificial trees to those that grow in the ground, check this out. Realistic in design, it stands at 10 feet tall and boasts 1,750 clear LED lights! Reusable and perfect for any room. Christmas trees that grow in snowy places might be green, but they appear white. 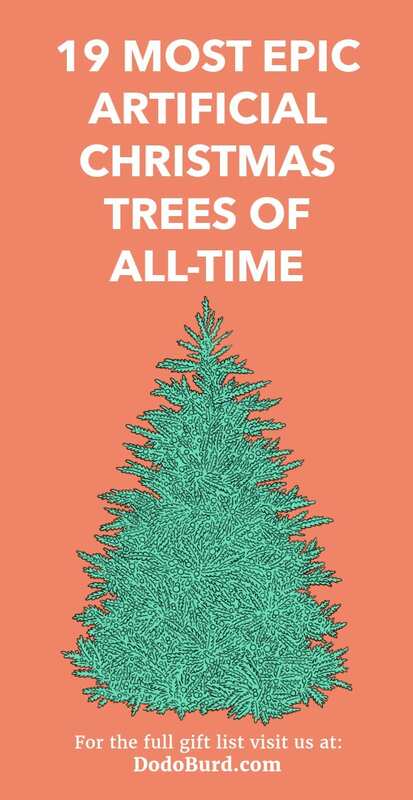 This holiday season, invest in a tree that will last you for years and pick up one of these frosted snow ones. Extremely easy to care for, it comes with a stand and has been covered in stunning lights. This 10 foot tall tree comes with no pre-attached lights, allowing you to decorate it in any way that you want to. Seriously beautiful to look at, it boasts 2883 tips, and has been frosted to resemble an Alaskan pine. The stand itself is included, and the entire thing can be reused over and over again. If you have been searching everywhere for the perfect tree in time for Christmas, you are not alone, and if by perfect you mean that you only want the very best, this could be it. With almost 5000 PVC tips and 2700 energy efficient LED lights, you can thank Vickerman for the smiles this winter. Stunning is an understatement when it comes to describing this tree. Amazing to look at, you will be shocked to hear it is not real! Standing at 9 feet tall, it’s pre-lit and comes with a humungous amount of branch tips that allow for ornament hanging. Fluffy and full, it even boasts a light frosting. With the stand included, this green Christmas tree looks so awesome, that everyone will think it has been freshly cut. Save time when decorating thanks to the fact that the tree has been pre lit with over 1,000 clear LED lights; it looks real, feels real, and will make your Christmas wonderful. Pine cones and red berries are the type of thing that can be seen growing on Christmas trees in the wild, so it makes perfect sense to decorate your tree with them. Luckily for you, this exciting artificial tree has already been covered in both, and only needs lights and ornaments to be ready for Santa. Snow covered trees are just one of the many things that we associate with the holidays; with that in mind, bring a touch of frost into your living room with this gorgeous tree. Developed by a leading artificial tree manufacturer, you will be getting 10 feet of pre-lit quality! Are you searching for a tall tree to take center stage in your holiday festivities? Great. 14 feet in height, this incredible yet slim tree will grace any home with a warming glow thanks to the 2700 lights that come attached. Simple yet stylish, it will look awesome when you decorate it. Can’t make up your mind on what color you want your Christmas tree to glow this year? Why not choose them all? That’s right, this 12’ white Arctic pine tree features 750 lights, all of which can change color. Use the different settings to find out your preferred color and mode and enjoy your winter. Snow covered trees, what could be better to look at during the winter months? As long as there is a fire crackling away in the corner, looking at this tree will make you feel cozier than ever. At 9 feet tall, this delightful tree by Vickerman is supplied pre-lit and ready to decorate. Produced with fullness and realism in mind, it is hard to tell that this 9’ tall tree was not growing in the ground only yesterday. With almost 4,000 branch tips and bright, clear lights included, this tree has been designed to such a high quality that it will be with you for the next few Christmases at least. Do you want to make sure that your Christmas tree this year is full of fullness? What about every year for the rest of your life? This brilliant tree looks incredibly real; however, it can be folded away and stored until next year. 10’ tall and pre lit with incredible LED lights. Straight from SilksAreForever, this tree requires absolutely no maintenance whatsoever! With a freshly cut appearance, it will sparkle and glow from the offset thanks to the 1,450 included lights. Hang ornaments from any of the 4,128 tips and watch as your tree comes to life each and every year. Standing at 12 feet tall, this artificial tree is epic to say the least. Boasting volume as well as height, this tree looks as traditional as they come and really does look like the real deal. Sturdy, strong and fire retardant, it is just waiting to be erected in your home and decorated with love. Brought to us by the people at Balsam Hill, this tree is ready to make your festive period more magical than ever before. With the stand included it reaches a whopping 9 feet tall, has been pre lit with tons of lights and offers a LOT of branches for further decoration! Merry Christmas. Do you have a narrow, tall space that is just calling out to become the home of your Christmas tree this year? If so, you may be struggling to find the perfect tree to fit the space. Check out this delightful 7.5ft tree that looks extremely realistic and even comes with accessories. Pre-lit and covered in a beautiful champagne tinsel, this sparkling and bright tree is ready to bring you all of the festive fun that you need this winter. Boasting over 2,000 tips, it can hold all of your family’s favorite ornaments comfortably; a truly great buy. Towering over other trees on the market, this particular one from Vickerman is over 9 feet tall! With an extensive warranty included in the purchase, this tree will serve your family well for many Christmases to come. It even comes with clear lights already installed. Flocked Christmas trees look great, period. Instead of buying a pre-flocked tree from your local store, why not give last year’s artificial tree a makeover in time for advent? If you do not know where to begin, simply follow the link and read through the instructions. Snow is one of the coolest parts about Christmas. If you would love to bring the snow indoors, you need to flock your tree! That’s right, it really is not as hard as one might imagine; simply grab your artificial tree, a few materials, and use the information you find here to flock away. Would you love to know how to add snow to an artificial Christmas tree? Who wouldn’t? This fun project is a lot simpler than you might think and is truly awesome. Behind this link you will discover a world of information that will allow you to cleverly add a white blanket to your tree.